Accredited and Experienced, I provide a safe, confidential and non-judgmental service. The location is in Liverpool City Centre and has reception and waiting area. It is fully accessible. I have recently integrated Eye Movement Desensitisation and Reprocessing into my practice which has a basis in the Person Centred Approach. EMDR is a relatively new and exciting approach. 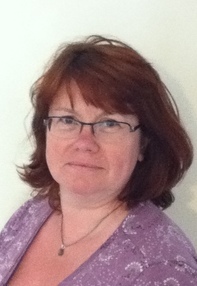 I have particular experience with clients suffering from Post-natal Depression and living with the effects of trauma. Accredited and Experienced, I provide a safe, confidential and non-judgemental service. I have been practising as a therapist since 2005 and have met helped clients with a wide range of issues over that time. I have particular expertise in helping you deal with trauma. One of the approaches I use is EMDR, an effective therapy for dealing with trauma and other issues. I am very committed to a person centred approach. In other words, I tailor the service to your needs and try to work as flexibly as I can to help you move forward through the difficulties you are experiencing. I am a qualified supervisor with a wealth of experience to bring to the supervision relationship. I enjoy working collaboratively and in a boundaried way to help you reflect on your work, go forward in your career and become the best therapist you can be.